Former Sam Rayburn High basketball and track star Don Fogo makes his move to the hoop as former Deer Park standout Larry C. Johnson (41) defends. Former basketball stars at Deer Park High and the five Pasadena ISD high schools tallied bumps, bruises – and even a few points – on Saturday night in the first Alumni Challenge game between the two school district. The game was organized as a warm-up contest before the boys championship showdown of the McDonald’s Texas Invitational at Phillips Field House. Deer Park won the game, 35-30, fighting off a late challenge from the Pasadena ISD bunch. 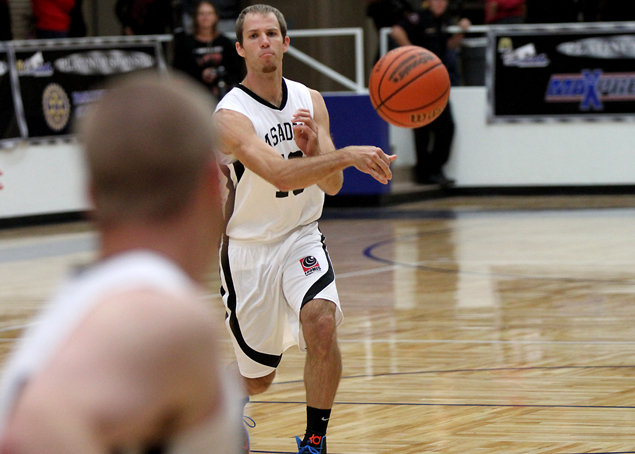 The game was actually a high-scoring affair, considering that the format included a running clock. Forty-two players, representing graduating classes from 1958 to 2010, participated. The Deer Park team was coached by former Deer Coach Ray Landers. Phil Eaton, a former player and coach at Pasadena High, coached the Pasadena ISD team. The contest drew one of the largest crowds ever for a Texas Invitational contest. Former cheerleaders and drill team members from the two school districts kept the crowd on its toes – and the players out of their seats – for most of the evening. The event was sponsored by Loomis International. Sam Rayburn's Russell Schroeder and South Houston's Jim Perritt compare war wounds after the game. 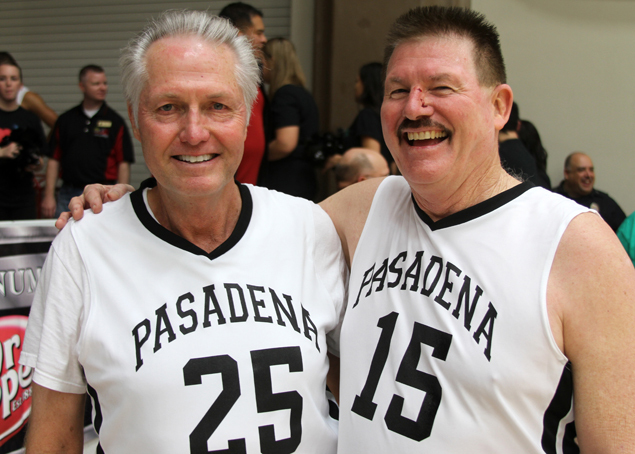 Schroeder and Perritt, both 1970 graduates, were backcourt rivals in high school.